Want to work on some sequence writing? 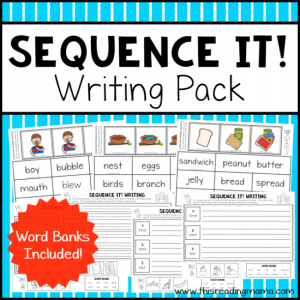 Then you’ll love this Sequence Writing Pack! It has resources for modeling sequence writing with kids as well as plenty of practice pages for learners. PLUS, there are editable word cards for word banks to help with spelling and vocabulary! 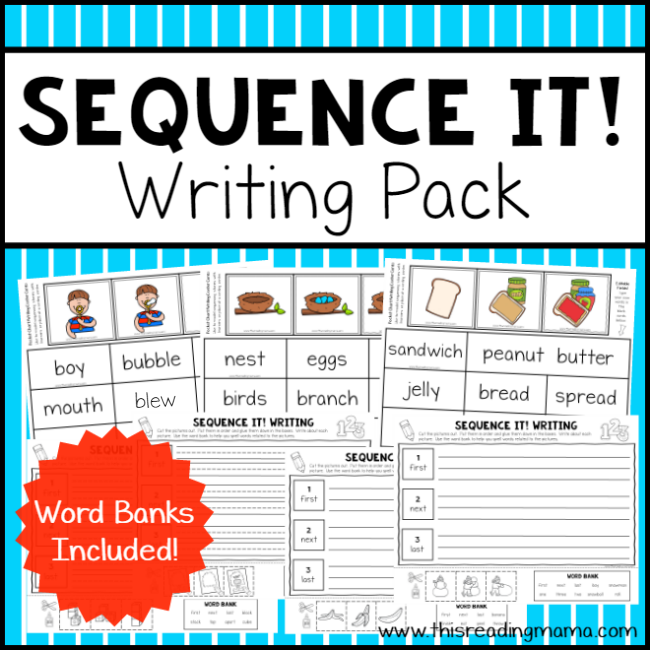 If your learners are ready to do some sequence work, you’ll find exactly what you need in my Sequence It! Writing Pack. My three favorite things about this pack are: 1- the activities can be used for more than sequence writing (see below), 2- the word banks provide spelling and vocabulary support, and 3- the word cards have editable fields so more words can be added to the word banks. 20 Different Sequencing Picture & Word Card Sets (in color and blackline) – Use for modeling storytelling and sequencing. There are editable fields for you to add your own vocabulary words related to the pictures! Student Recording Pages (4 versions) – These go with the picture & word cards. 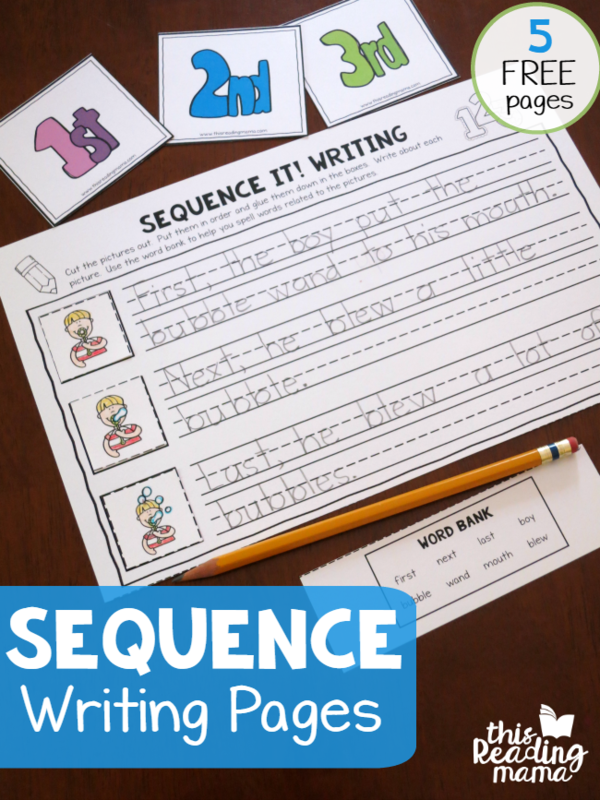 Student Sequencing Pages (20 pages, 2 versions) – These can be used with the learner or as an independent learning activity either at a writing center or for homework. Students cut out the pictures, sequence them, and use the word banks provided to write about each picture. 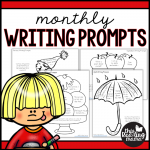 be sure to visit my post, Sequence Writing Pages. Other Ideas for using Sequence It! Storytelling – Use the cards to practice telling stories in order based on the pictures. 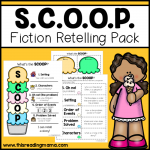 Comprehension – The picture cards and retelling of the events build comprehension skills. After all, stories are supposed to be told in order. Building Vocabulary – If you have students who need some work with vocabulary, the picture and word cards are the perfect resource!